• $20.3 million for a five-story mixed-use building containing 60 apartments and 4,550 s/f of commercial space in the East Village section of Manhattan. 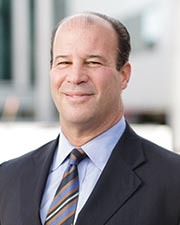 Paul Greenbaum, managing member of GCP, arranged the financing. • $12.5 million for three five-story multifamily apartment buildings containing 36 units and 5,200 s/f of commercial space on West 42nd St. in Manhattan. Adam Brostovski, principal of GCP, arranged the financing. • 11 million for four multifamily apartment buildings containing 140 units on West 191st St., Manhattan. Greenbaum arranged the financing. • $9.5 million for the redevelopment of an existing structure into a seven-story residential condo building containing 13 units in the Williamsburg section of Brooklyn. Matthew Albano, managing director of GCP, arranged the financing. • $4.05 million for a one-story, 8,400 s/f commercial/retail building on Bell Blvd., Queens. David Sessa, managing director of GCP, arranged the financing. • $3.49 million for a five-story multifamily apartment building containing 35 units on Webb Ave., Bronx. Brostovski arranged the financing. • $2.7 million for a two-story industrial flex building comprised of 12,400 gross s/f on 56th St., Queens. Steven Goldstein, senior associate of GCP, arranged the financing. • $2.3 million in acquisition financing for a vacant development site that will be developed into a seven-story multifamily building containing 22 units with one ground floor retail unit of 4,700 s/f in Astoria, Queens. Matthew Classi, managing member of GCP, arranged the financing. • $2.1 million for a four-story multifamily apartment building containing seven units on Madison St., Queens. Albano arranged the financing.